Last year, director Sean Baker brought us into the world of the transgender prostitutes who work L.A.’s streets in Tangerine. Now, Baker is exploring southern California drifter town Slab City in his new short film, Snowbird. Starring model and Mad Max: Fury Road actress Abbey Leo, Snowbird is actually a fashion ad for the French label Kenzo, so, there’s that. 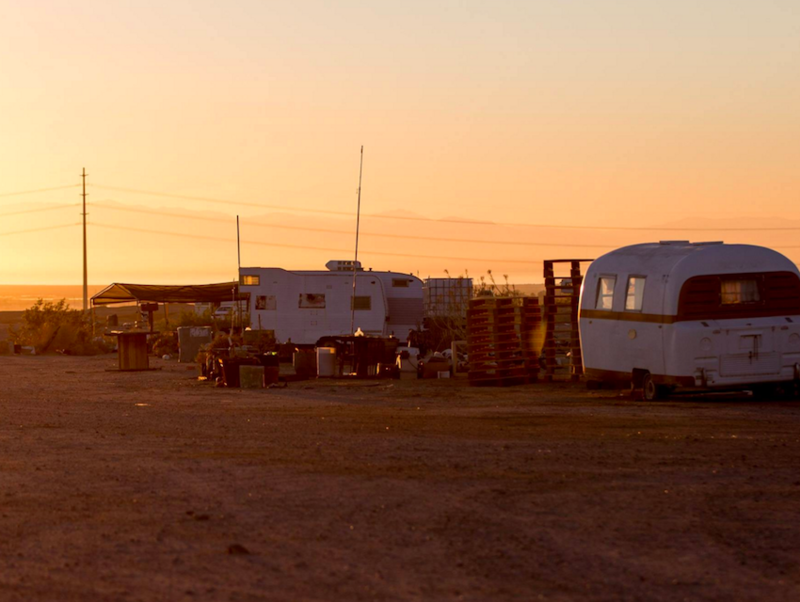 But it’s also a beautiful look at one of SoCal’s most unusual spots; located by the Salton Sea, Slab City is an unincorporated area populated by squatters, transients, and artists who are all but completely off the grid.